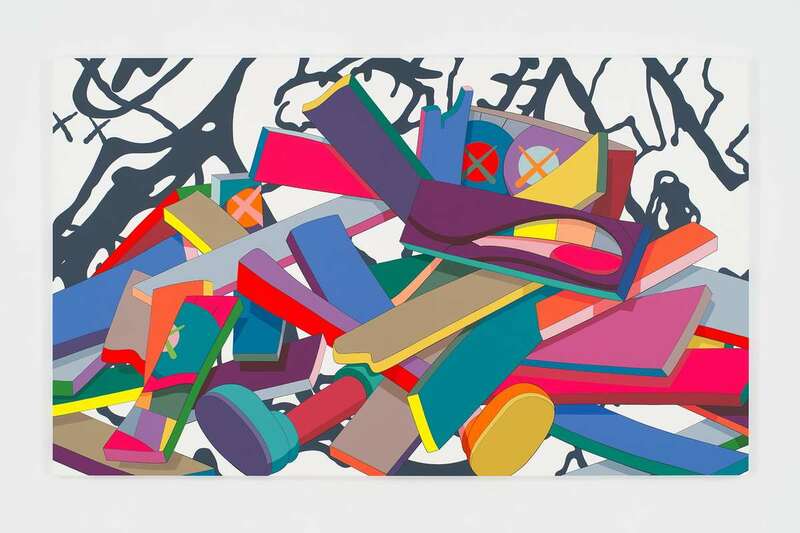 By embracing cartoonish characters as his main feature and placing them in various situations, Brian Donnelly, better known under the moniker KAWS, was able to establish communication with a wider audience and a balanced social commentary. This artist is usually working with sculpture, acrylic paintings on canvas, and screenprints, and his entire practice is rooted in public interventions and urban art. 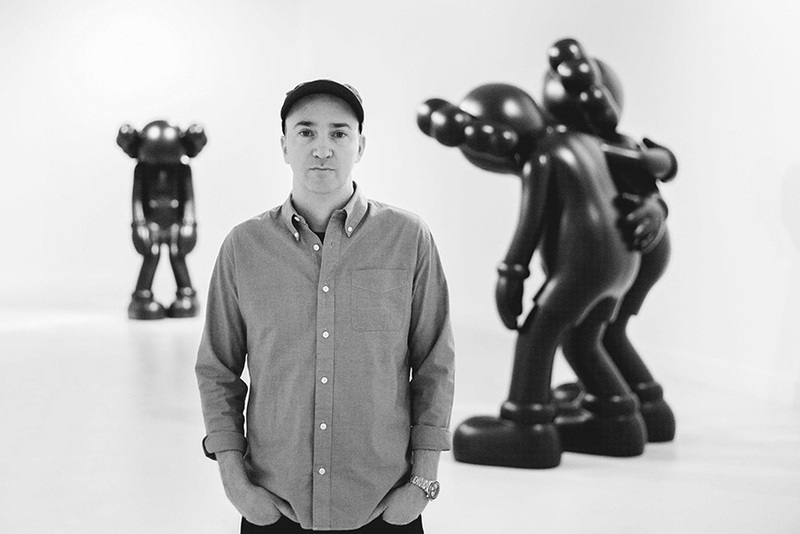 Despite a huge commercial success, KAWS managed to keep the creative edge, and the current survey of his ten years long career organized by the Hong Kong Contemporary Art Foundation aims to underline the artist’s recurrent motifs and inspirations. The exhibition titled KAWS: Along the way is curated by established Italian curator Germano Celant, best known for a role of a spokesperson and promoter of Arte Povera, and it features works from 2008 until the present day, including pieces never before shown in Hong Kong. 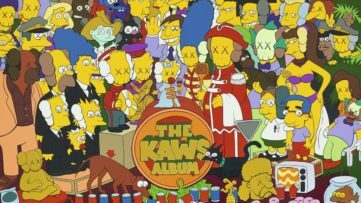 Namely, Celant decided to present KAWS’s practice in chronological order by accentuating different themes which occupied the artist throughout the years. 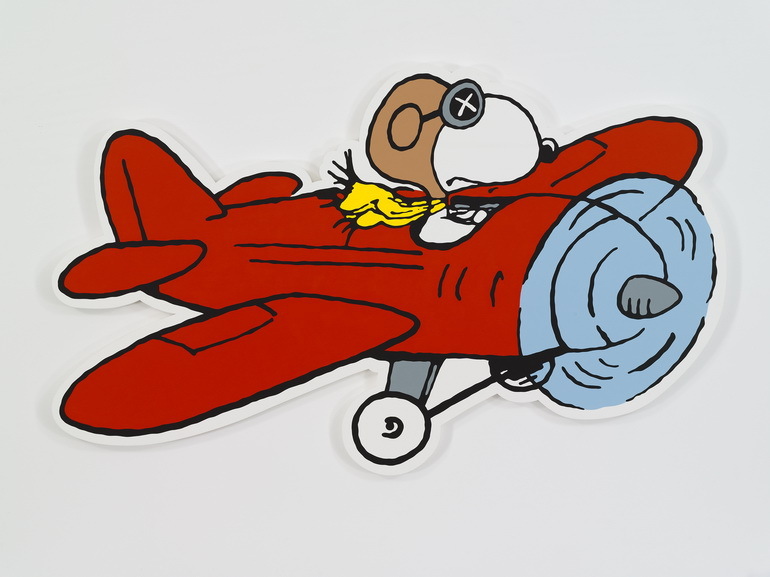 The installment features a total of thirty-seven humorous works including large-scale outdoor sculptures of cheerful characters, vibrant paintings as well as early works. The 2015 piece Along the way, from which the exhibition takes its title, is saluting the audience in the courtyard of the exhibition space, while the Companion figures are presented for the first time; caught in a gentle hug, they reflect the intersection of contemporary art and design. 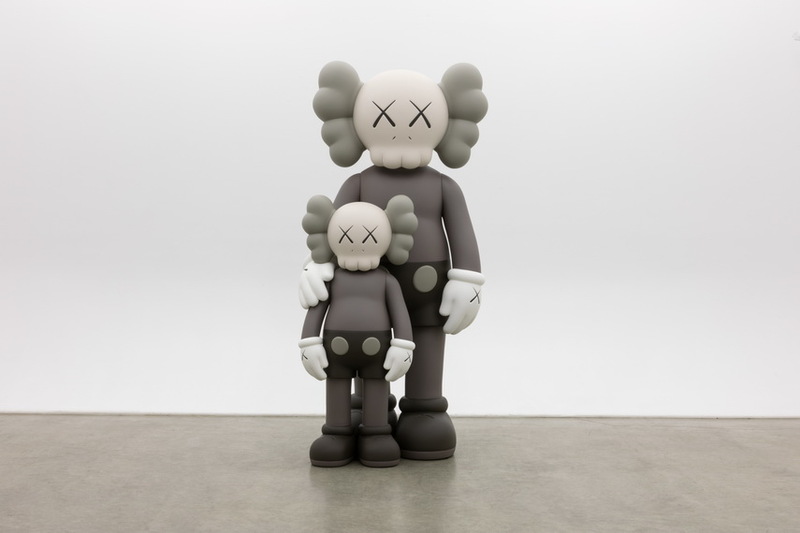 On display are also the works such as the monumental sculpture Accomplice, then the more famous one titled New Morning made in 2012, and two pieces from KAWS’ You series. 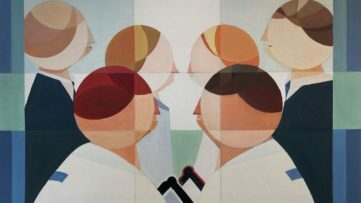 HOCA Foundation was founded in 2014 with a view of bringing art to the city and its people, taking artworks outside of a traditional gallery context and presenting contemporary art exhibitions and events across the city. 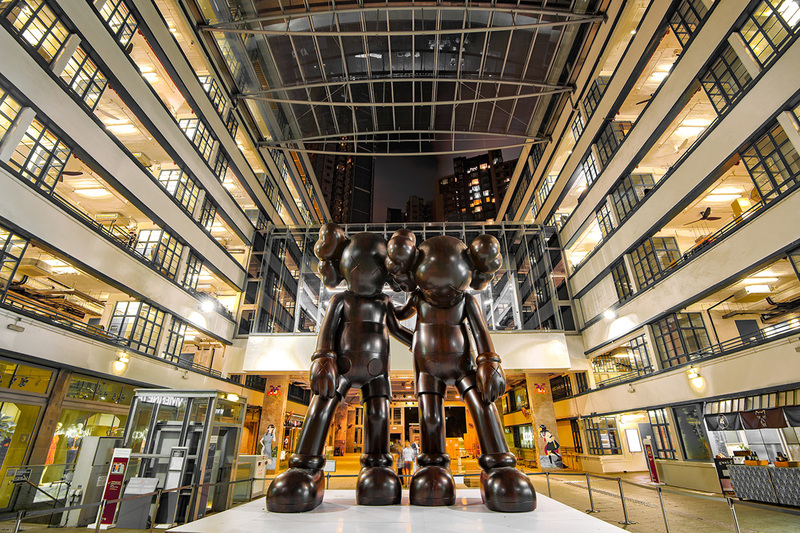 ALONG THE WAY – the first such comprehensive survey of KAWS in Hong Kong – gives us a wonderful opportunity to present this prolific artist in an in-depth and yet approachable manner. Merging diverse fields of artistic and creative production, KAWS is widely known for his signature cast of cartoon-inspired figures that enjoy a broad appeal. We are thrilled to be presenting these artworks and objects alongside pieces making their debut in the city during the Art Month of Hong Kong. 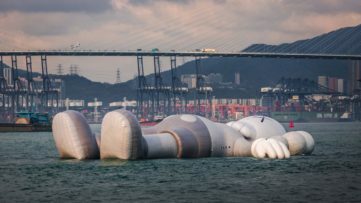 KAWS: Along the way will be on display at the PMQ exhibition space in Hong Kong until 14 April 2019. Featured image: KAWS. ALONG THE WAY; Portrait of KAWS by Nils Mueller. 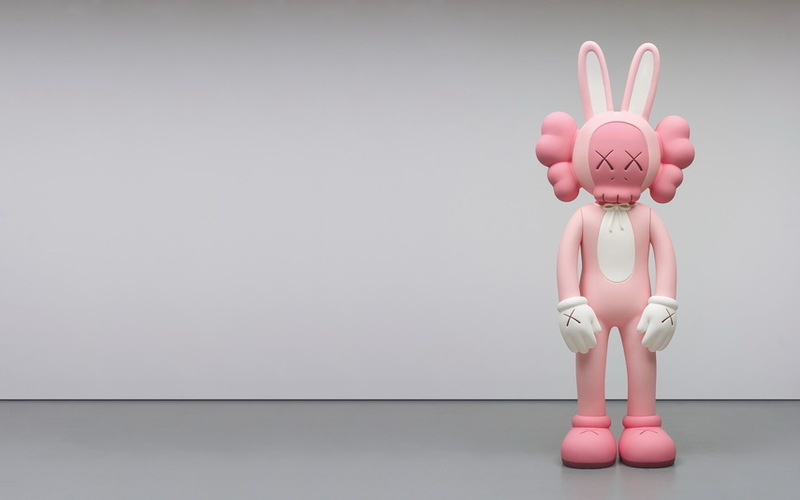 Image Courtesy of KAWS Inc; KAWS – Waiting, 2017. Bronze, paint, 70.25 x 33.5 x 28.375 in / 178.4 x 85.1 x 72.1 cm. All images courtesy HOCA Foundation.